What is Skinception Illuminatural 6i? Illuminatural 6i is an skin lightening cream promoted to help users get rid of embarrassing dark spots without the potential risk of developing frightening side effects. The manufacturer of this product claims to offer you the latest developments in skin lightening science in a formula that can fade areas of hyperpigmentation including freckles, age spots, birthmarks and acne scars. The product has been endorsed by cosmetic surgeon Dr. Dave David. He recommends it to users who want to lighten their skin but at the same time do not want to deal with harsh bleaching, chemical peeling or surgical scraping. For a surgeon to put his reputation on the line and endorse a skin cream there must be something exceptional about it. In this article we propose to give you a closer look at Skinception Illuminatural 6i. Let’s get to know what is inside the formula. Illuminatural 6i is formulated by the company Skinception. It is probably not the most popular company in the skin care industry but it tries to stand out by offering products that do not contain harmful agents like parabens, mercury or any other toxic substances. Skinception proposes to offer users exceptional results that could be compared to injections or cosmetic surgery. This might be the reason why its product ended up being endorsed by a professional in the field. Most products offered by the company come with a 90 day money back guarantee so users should pretty much feel safe when trying out their creams. The official site of the product is quite informative hence you can explore more about the product. 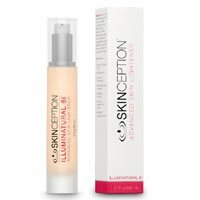 What’s in Skinception Illuminatural 6i? 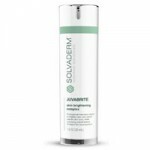 There are 6 ingredients used in the formulation of Illuminatural 6i. Those ingredients have been tested clinically and the data collected in the report suggest they do work. Here are a few of them. Research on this compound has shown that if applied 3 times daily within 24 days, users could end up with significant lighter skin. The success rate for the test was 95%. The combination Magnesium Ascorbyl Phosphate and Sodium Lactate has shown skin lightening results 200% better than when used alone. 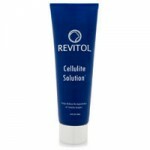 Other ingredients found in the formula include Alpha-Arbutin (1.0%) and Whitonyl (4.0%). No harmful chemical like mercury, hydroquinone or bleach was used in the cream. Exact ratio of the blend is unknown. The Illuminatural 6i cream is to be applied only on small areas of the skin, like dark spots that the user wishes to lighten a bit. The manufacturer recommends applying just small dots and smoothing it gently until it gets absorbed under the skin. The daily routine should be mornings and evenings. Even though relatively safe, certain users with allergic skin may run into some problems while trying this product. If it is always a good idea to first consult a dermatologist before trying a new skin product. This product has already being endorsed by an expert in the field. We are talking about the surgeon Dr. Dave David. He certainly believes this is a good product. Considering all the years of experience he has in the field, we don’t think there is a need to argue with him. If dark spot or freckles are really a problem for you, just know that Illuminatural 6i can potentially help you out. The product is not that cheap though, $49.95 a bottle is quite expensive. It is still worth the investment anyway. There are no side effect resulting from its use. Feel free to visit the official website and order your package.